Departing Suffolk & Essex - After taking Las Vegas by storm, Channing Tatum is bringing a brand new production of Magic Mike live to the stage in London. 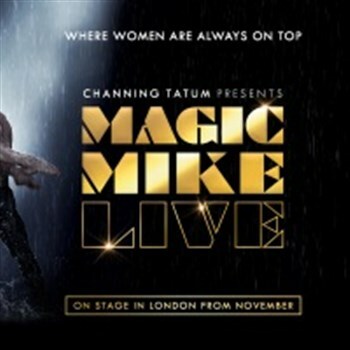 The Theatre at the Hippodrome Casino is undergoing a multi-million-pound transformation to create an intimate and state of the art new home for the show based on the smash hit films Magic Mike and Magic Mike XXL. The films are loosely based on Tatums experiences as a stripper in Florida when he was 18. Please note : the Hippodrome Casino is an over 18s venue and valid ID will need to be presented by all members of your party on arrival in order to gain access to the event.